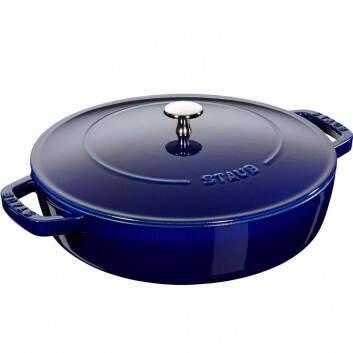 The pan Staub Chistera with a diameter of 28 cm is made in France and available in different colors that you can select. 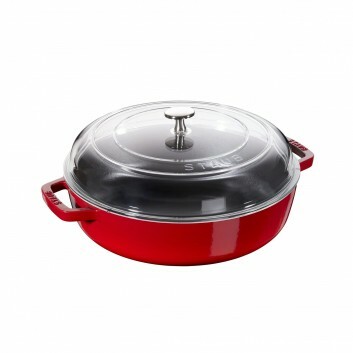 Its domed lid whose relief reminds Chistera Basque pelota, was developped for self basting spikes during cooking. 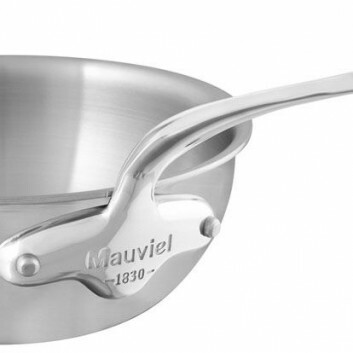 Mauviel 1830 M'Stone non-stick curved saute pan, made in France. M'Stone 3 collection in black anodised aluminium. 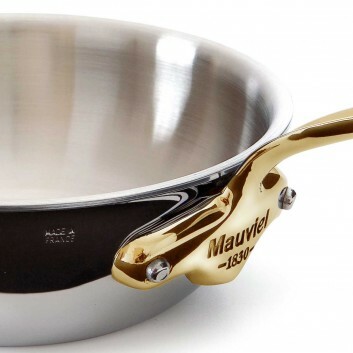 Mauviel 1830 M'Stone non-stick saute pan, made in France. 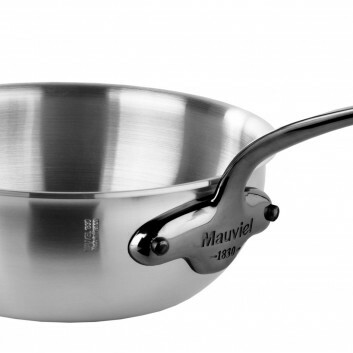 Mauviel M Cook non-stick Curved Splayed Saute Pan, Made in France. 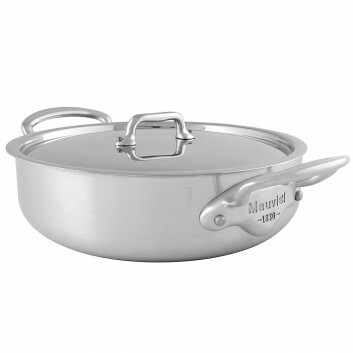 The M'Cook collection comes with a shiny stainless steel finish and cast stainless steel handles. 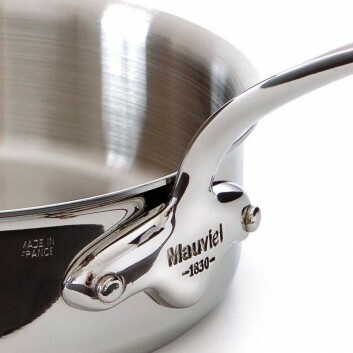 Mauviel M Cook non stick Saute Pan, Made in France. 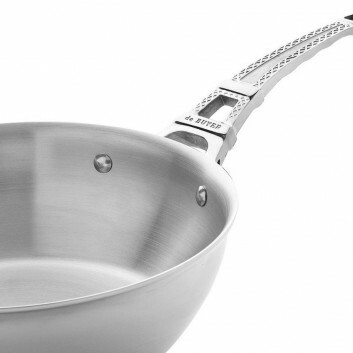 Cristel Casteline Stainless Sauté Pan Fixe Handle. Elegant, functional and singuliar, Cristel's Casteline collection represents nearly two centuries of know-how and excellence. 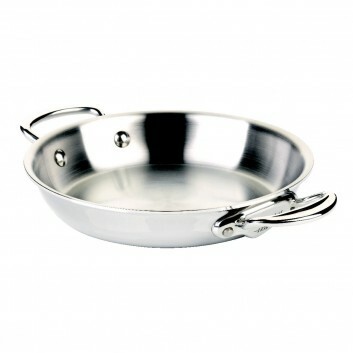 Cristel Casteline Stainless Sauté pan available in diameter 24 and 26 cm. Cristel Casteline has been awarded the Origine France Garantie label. 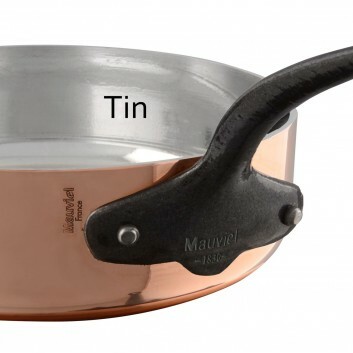 Mauviel 1830 M'Cook induction sauté pan, made in France. 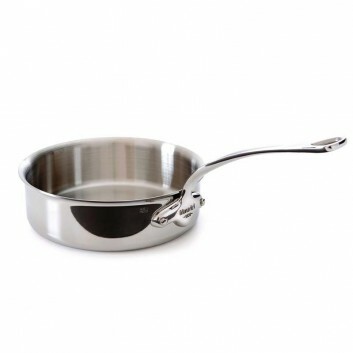 M'Cook collection, made of shiny 18/10 stainless steel. 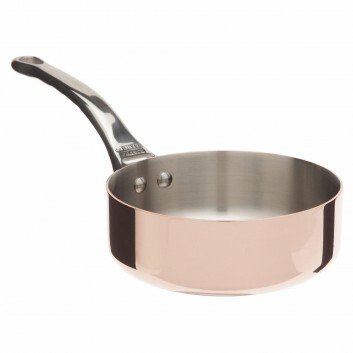 Copper saute pan from the De Buyer Inocuivre collection. 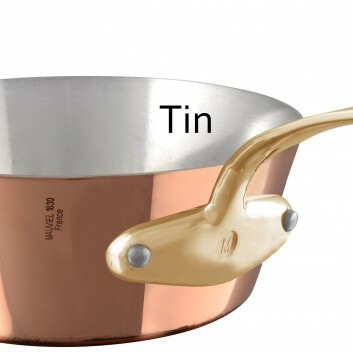 This model is made in France. 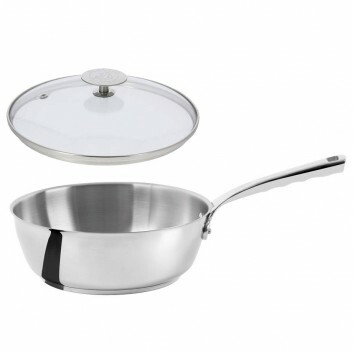 It has a stainless steel interior and a cast stainless steel handle. 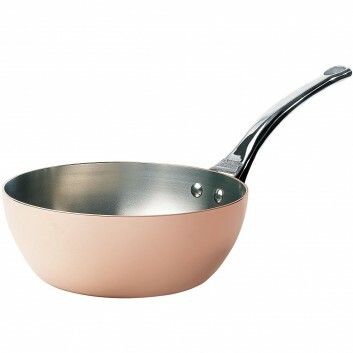 Copper conical saute pan by de Buyer. It is part of the Inocuivre collection. 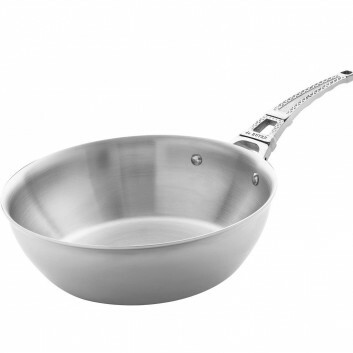 The saute pan has a stainless steel interior. 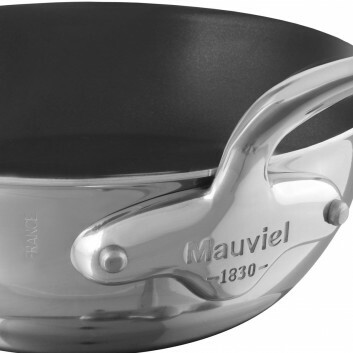 Mauviel 1830 splayed saute pan, made in France. 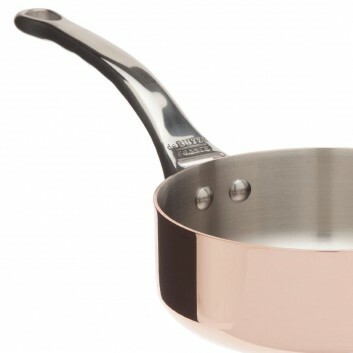 M'Cook B collection, shiny 18/10 stainless steel finish and bronze handle. 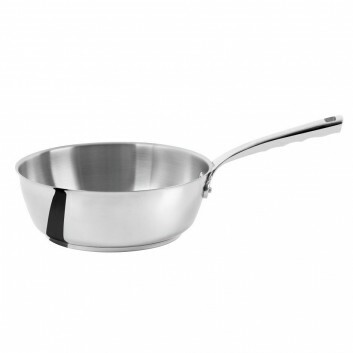 Stainless steel splayed saute pan by de Buyer. 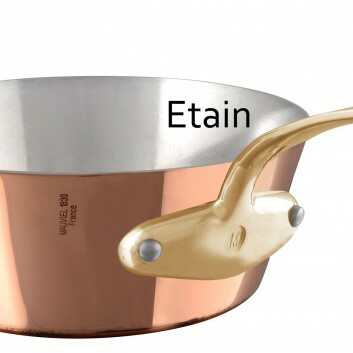 It is part of the French collection range. The Eiffel Tower appears on the products. The interior is made of stainless steel. For delivery conditions, please see below. 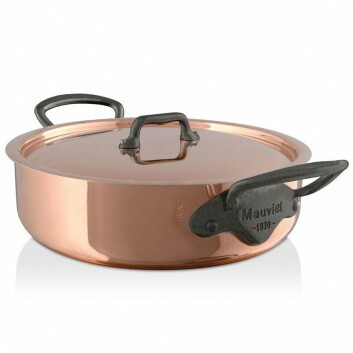 Mauviel 1830 M'Cook B induction Saute Pan with bronze handle, Made in France. 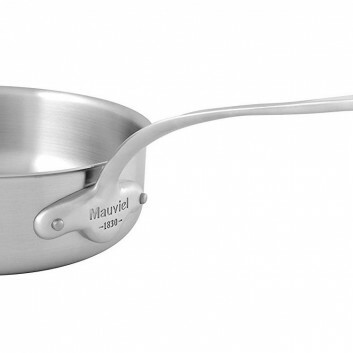 Mauviel Cook B curved splayed saute pan, made in France. 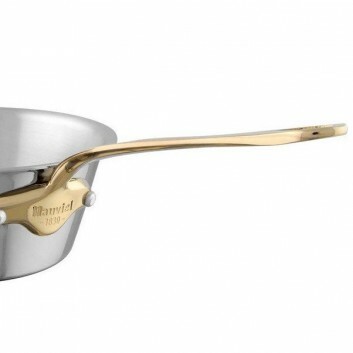 The M'Cook collection from Mauviel has a shiny polished stainless steel finish, with bronze handle. Free delivery subject to the conditions below. 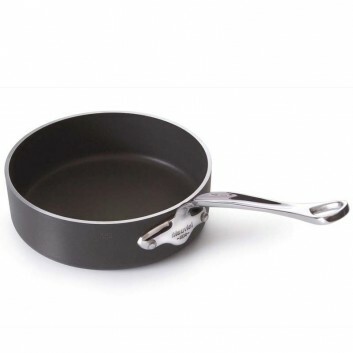 Induction sauté pan with a diameter of 24cm, made in France. 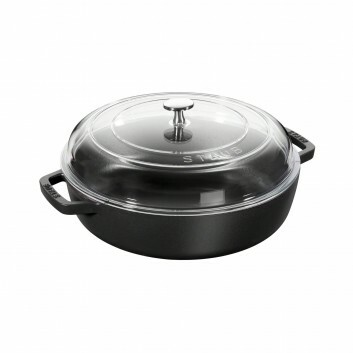 Made from foodsafe cast iron and specially adapted for use with induction hobs, this sauté pan comes with a domed cast iron lid. 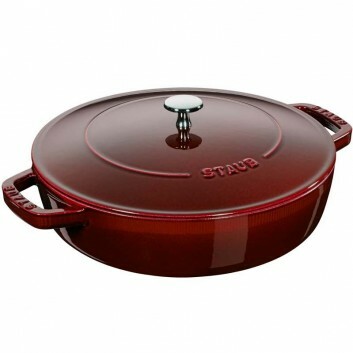 This French-made Staub sauté pan creates perfect cooking conditions. 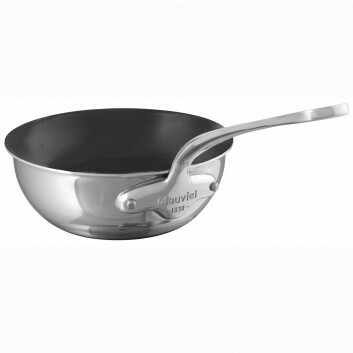 This all stainless steel 18/10 rondeau is designed by the famous brand Mauviel, it is part of the M'Urban collection and is made in France. 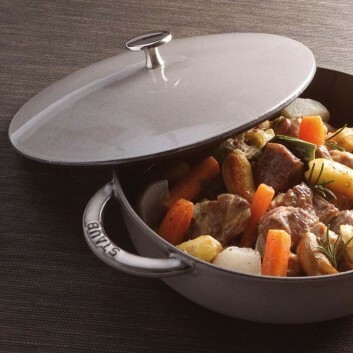 It is delivered with a stainless steel lid. 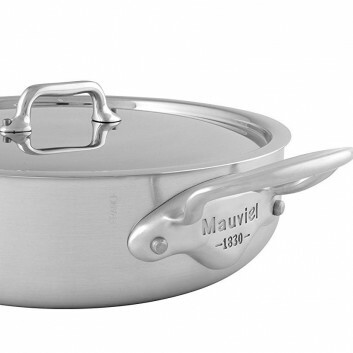 Mauviel universal lid M'Cook, made in France. The M'Cook collection has a shiny stainless steel finish. 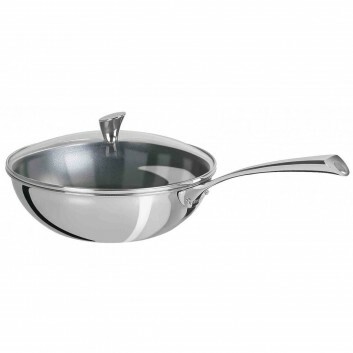 Tin interior, high-end saute pan with 2.5mm of thickness. 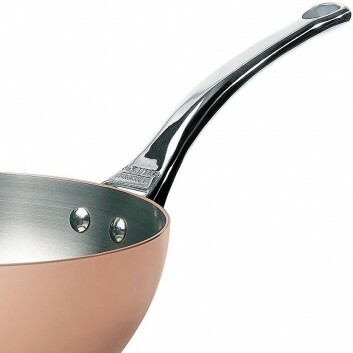 The M'Tradtion collection by Mauviel has a polished copper finish. 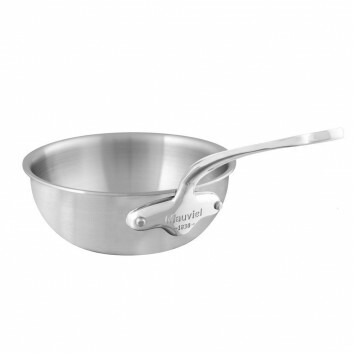 This all stainless steel saute pan is designed by the famous brand Mauviel, it is part of the M'Urban collection and made in France. 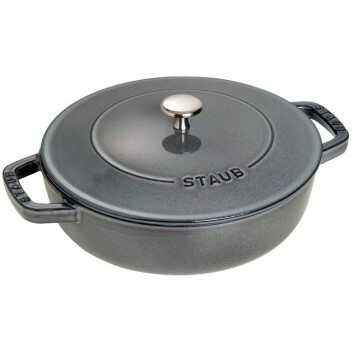 This Mauviel M'Urban Onyx saute pan is made in France and has a black lacquered cast stainless steel handle. 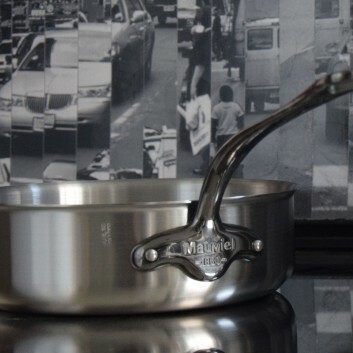 The M'Urban collection comes with a brushed stainless steel finish. 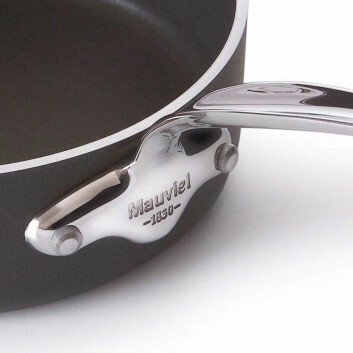 Mauviel M Heritage M'250c Round pan, made in France. 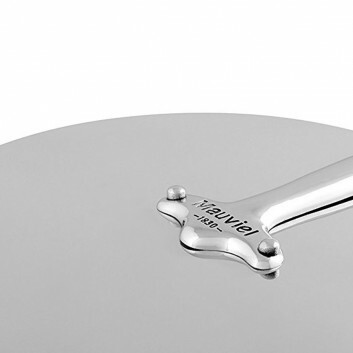 The M Heritage M'250c collection by Mauviel has a stainless steel interior, with 2.5mm of thickness. 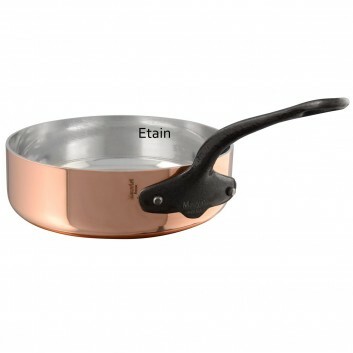 Iron Electroplated Finish Handle, with lid. 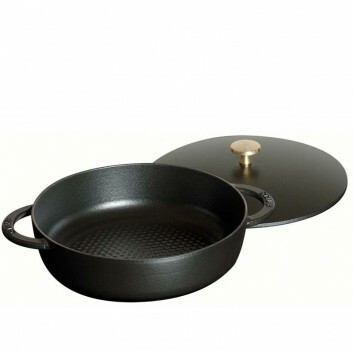 This Mauviel M'Urban Onyx round pan is made in France and has a black lacquered cast stainless steel handle. 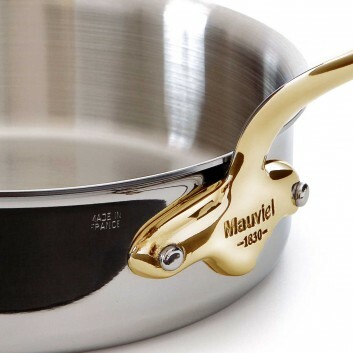 Mauviel M Tradition Sauté Pan, made in France. 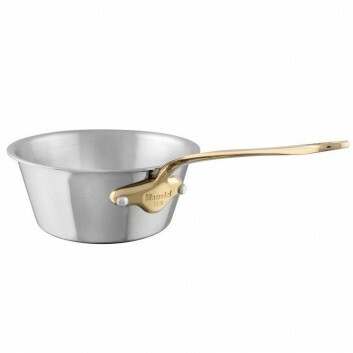 Tin inside, high-end saute pan with 2.5mm of thickness. 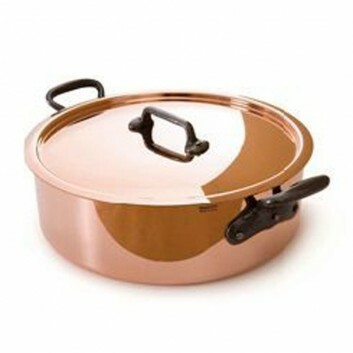 The Tradition collection by Mauviel has a polished copper finish. 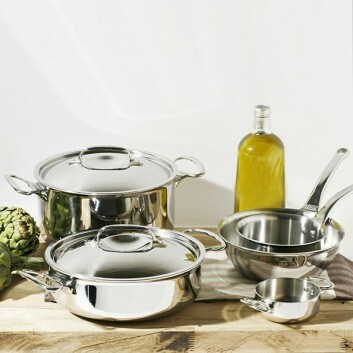 The M Cook collection comes with a shiny stainless steel finish. Exceliss Cristel wok, Casteline collection. 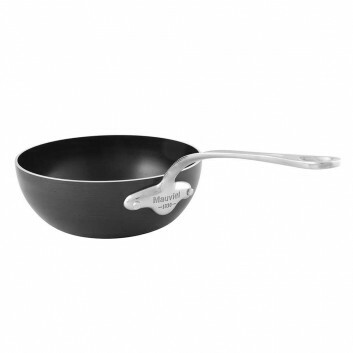 This wok is delivered with its curved glass lid. 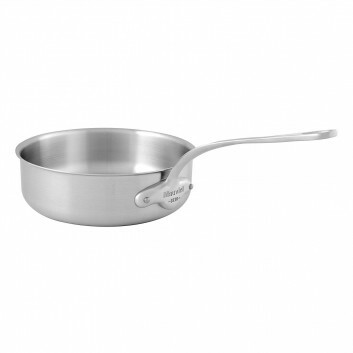 De Buyer stainless steel sauté pan, made in France. 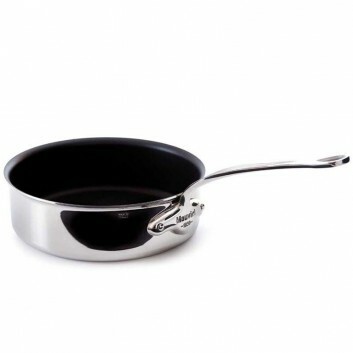 This sauté pan is compatible with all hobs including induction. 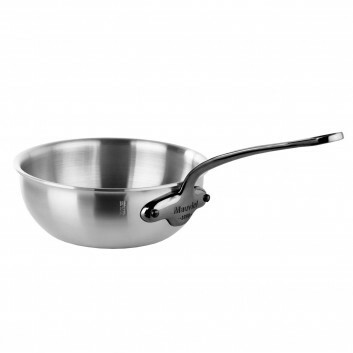 The Affinity collection comes with a polished shiny stainless steel finish. 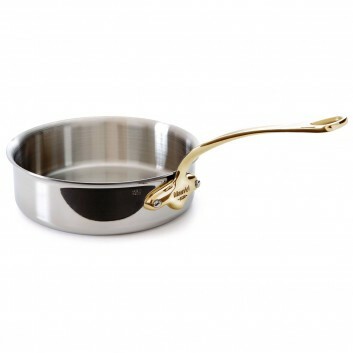 De Buyer Milady sauté pan, made in France. 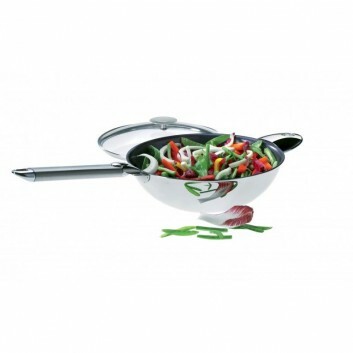 This 24cm curved sauté pan comes with a domed glass lid and is suitable for induction hobs. 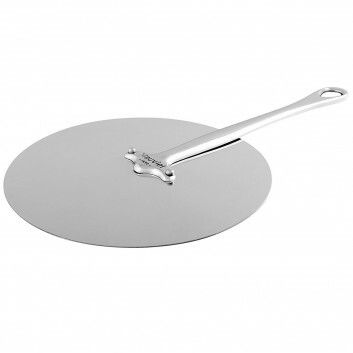 The Milady collection comes with a polished shiny stainless steel finish. 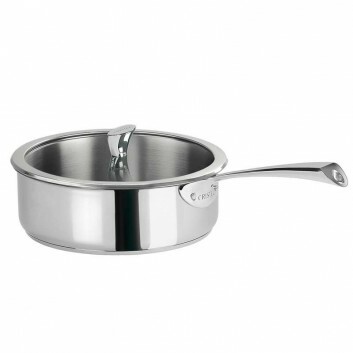 De Buyer Affinity curved sauté pan, made in France. Affility Collection by de Buyer France. 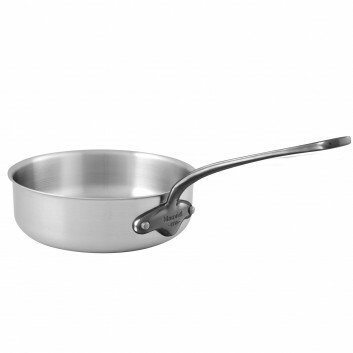 This all stainless steel curved splayed saute pan is designed by the famous brand Mauviel, it is part of the M Urban collection made in France.